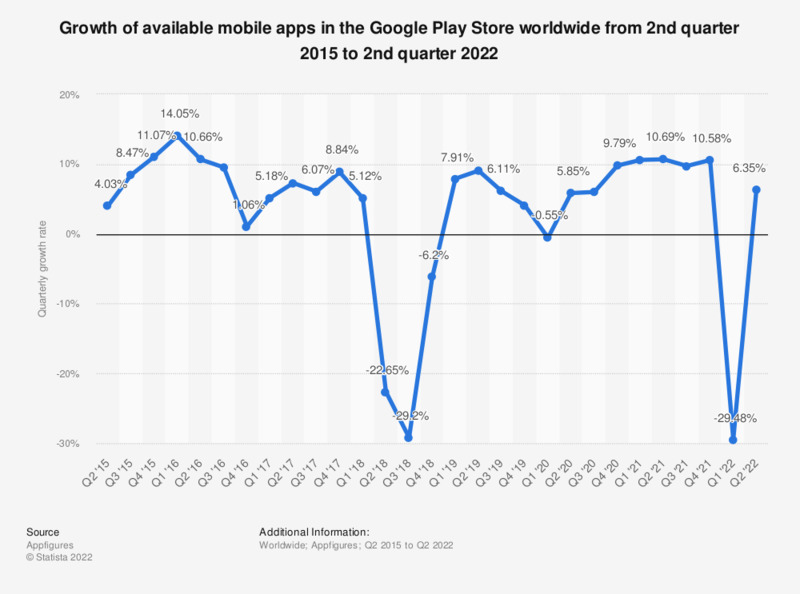 This statistic presents the growth of available mobile apps in the Google Play app store worldwide from the second quarter of 2015 to the fourth quarter of 2018. During the most recently measured period, mobile app growth on the Google Play platform decreased by 6.2 percent compared to the previous quarter. Values are estimated due to inconsistent collection.